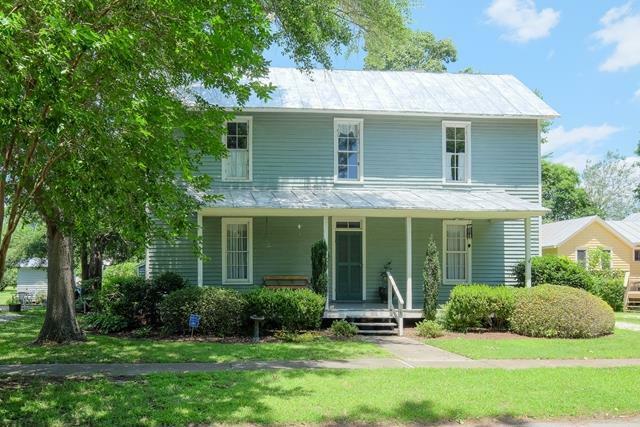 Built in 1899, this is one of the few 3 bedroom homes in the Edenton Mill Village. It is a center hall plan w/ 9' ceilings both downstairs and up. The character of the home is obvious w/ wood floors throughout and bead board walls and ceilings in the halls and two upstairs bedrooms. A pair of interior chimneys in the living room and dining room extends to one of the upstairs bedrooms. The bathrooms and kitchen have been updated, and a sunroom leading to the back porch & patio has been added. The Edenton Cotton Mill is in Edenton's Historic District and is an easy walk downtown along the bay. White Oak Elementary Pre-School, Elementary School / Public N/A 7.93 mi. D F Walker Elementary Elementary School / Public 7 7.88 mi. Chowan Middle Middle School / Public 5 12.39 mi. John A Holmes High High School / Public 2 0.63 mi. Lawrence Academy * Elementary School, Middle School, High School / Private N/A 9.87 mi. Perquimans County High * High School / Public 4 11.3 mi. 413 Elliott Street, Edenton, NC 27932 is a 3 bedroom, 2 bath single family home was sold for $219,000.